Comments: A rare banana selection. 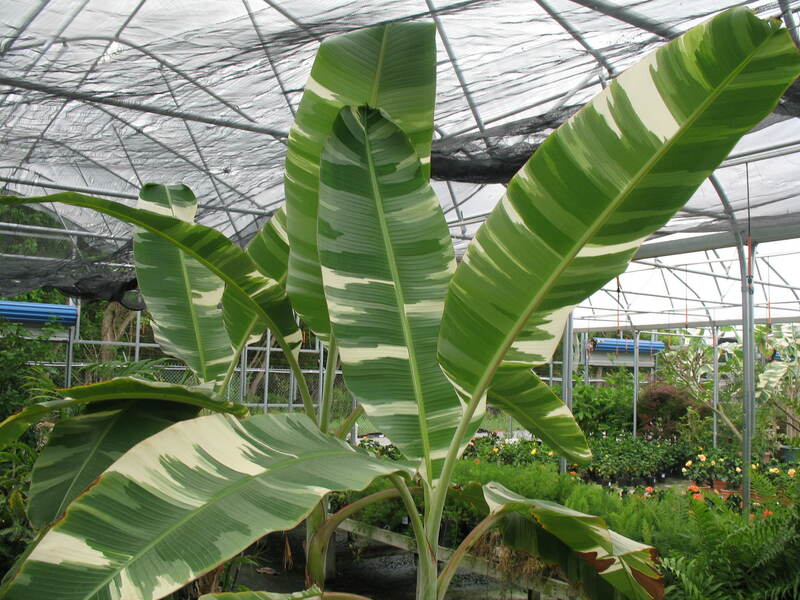 This fabulous banana has green and white variegated foliage and the peel on the fruit is also variegated. Flowering and fruiting of bananas occur year round where they are hardy outdoors. It likes slightly acid soil for the leaves to have good variegation. May flower and fruit at any season of the year.